Edited on behalf of the »Preußischen Historischen Kommission und des Geheimen Staatsarchivs Preußischer Kulturbesitz« by Frank-Lothar Kroll et al. 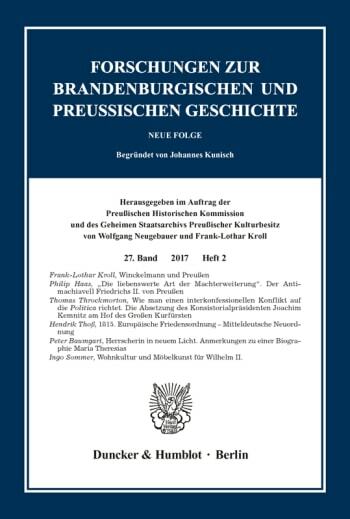 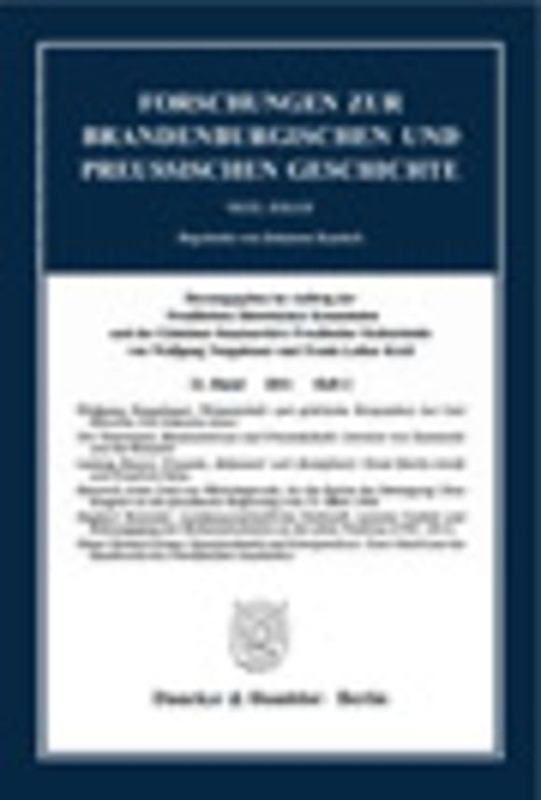 In Forschungen zur Brandenburgischen und Preußischen Geschichte, studies on the history of Brandenburg and Prussia are accompanied by the publication of research and conference reports, as well as miscellaneous articles and reviews. 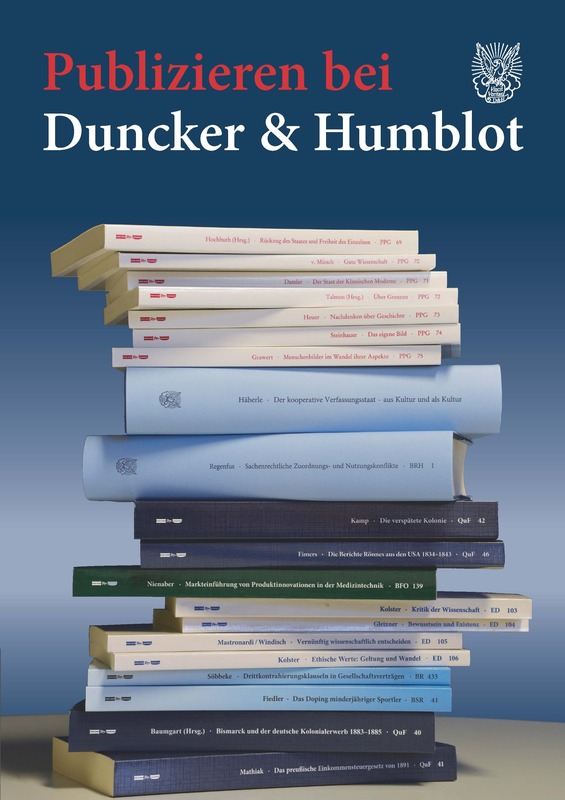 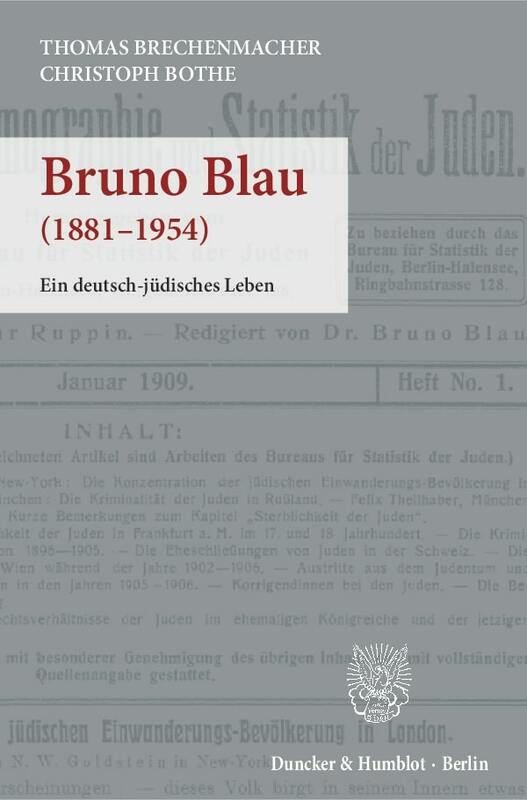 The journal is published by Wolfgang Neugebauer and Frank-Lothar Kroll on behalf of the Prussian Historical Commission, which was established in 1977 in Berlin, and the Prussian Privy State Archives of the Cultural Heritage Foundation. The Prussian Historical Commission has taken on the task of researching the history of the Greater Prussian state from its beginnings in the 12th and 13th century up to its dissolution in 1947. In particular, this is to be done through evaluating the holdings of the Prussian Cultural Heritage archives, as well as other German and foreign archives, cooperation and information exchange with other institutions that serve Prussian research and through the promotion of research work. The focus is on the greater state aspects here. In addition, it also considers Prussia’s international relationships. 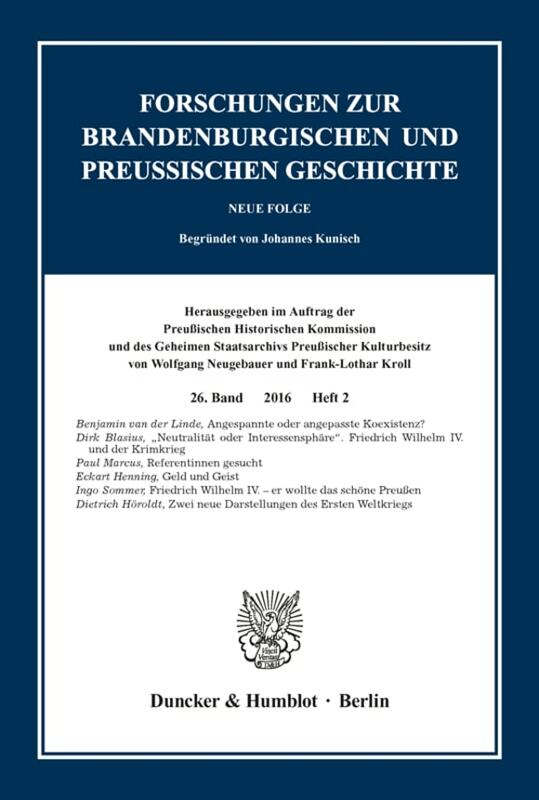 The results of the commission’s activities were initially presented in the publication series of Neue Forschungen zur Brandenburgischen und Preussischen Geschichte, Volume 1–9 (1979–1988). Since 1991, the commission has re-established the Forschungen zur Brandenburgischen und Preußischen Geschichte. Its publication had been discontinued in 1944 in its 55th year, and it will be published biannually from now on. Moreover, the results from the annual conferences of the Prussian Historical Commission have been published in the form of special supplements since 1992.